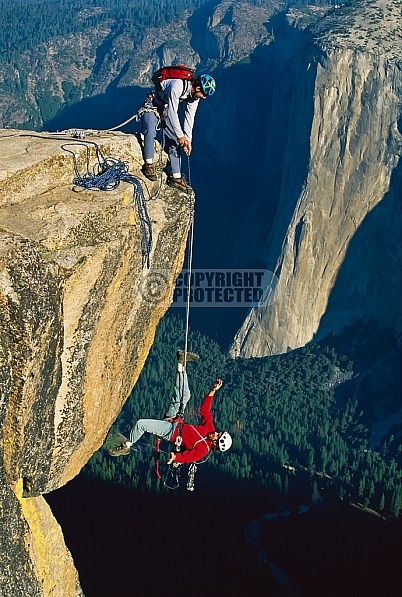 Description: Climber catching his partner with the rope. Don't look down. Hold on tight. That takes guts. Nerves of steel. The first step is a doozie. Living on the edge. Close call. Never give up. Always a way out. Mistakes happen. Climbing gyms. How to rock climb. Stock photos. Skin of my teeth. No guts no glory.